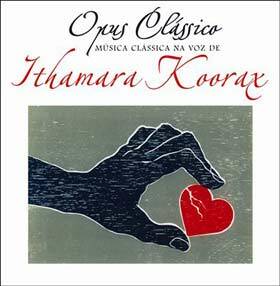 Putting these two recordings by a chanteuse like the miraculous Brazilian Ithamara Koorax presents something of a risk and a reward. A risk, because you are tempted to plumb for one over the other. But no sooner than you listen to both, one after the other, you realise that the reward is greater. I for one can think of no other singers save Barbara Hendriks who has such a breathtaking range, or Kathleen Battle (and certainly no other Brasilian except Elis Regina) who spins stories the way Ms. Koorax does. The vocalist is quite wonderful. She ought to be declared a national treasure. To my mind she deserves the accolade more than anyone else performing today. Performing is a key word here. Whether she is in the studio or live around the world the effect is the same. 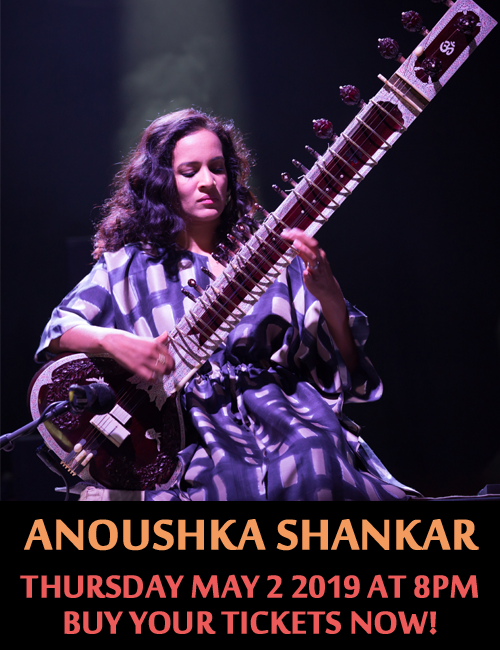 Such extraordinary drama, such infectious charm and such a spark of inflammable brilliance that Ms. Koorax creates the heat to make your blood run quicker. Not the heat of the hard-driven percussive kind; on the contrary, line is always respected. Tempos are up there with the pace but never over-pushed, and the instruments are always allowed to speak with warmth and humanity. And this is why, when Ithamara Koorax’s music is played everything is so right that the music itself courses through a room or a concert stage like early morning sun. Anyone who knows the work of Ithamara Koorax ought to be prepared for anything. But even I was surprised by the compelling nature of her foray into the realm of classical arias from all over the world of opera and vocal chamber music and then performances around the world where she is as enthralling as she is singing popular charts from jazz musicians such as Herbie Hancock to rhythm and blues such as composed by Marvin Gaye. Each of these recordings then is a benchmark where the energy of the creative process is truly brought to life. Tempi are attractive and lively in both discs and songs are spun as if they were second nature to Ms. Koorax. Best of all, nothing is off limits and this has resulted in two of her most powerful recordings in all of her discography. This disc is Ithamara Koorax’s soundtrack of memory. It appears to take her on a very personal journey with arias she obviously grew up with from operas by Richard Wagner and to the consecrated lieder of Chopin, to vocalese accompanying some of the iconic pieces of the modern era from masters such as Claude Debussy, Gabriel Fauré, Maurice Ravel and Heitor Villa-Lobos. The operetta selections seem to be the singer’s natural habitat and there is no denying the panache and brilliance of her performances. Her voice floats across octaves with such ease and she sings with brilliant colouratura that you could easily be tempted to declare her a classical diva. She sings fluently in several languages. 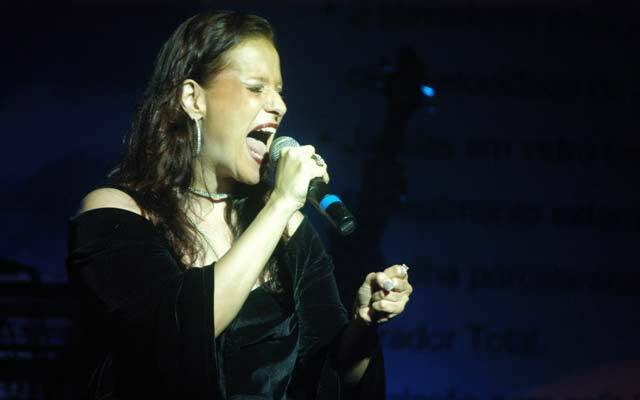 Her vocal counterpoint with the guitar of the prodigy Rodrigo Lima is flawless. She never over-interprets recitatives and narratives. Both she and the pianist Filipe Bernardo, the guitarist Mr. Lima and surprise of surprises, Raul De Souza each make exquisite bedfellows. Ms. Koorax is the ultimate perfectionist and this shows throughout the disc. Her interpretations are eternally fresh and as if walking on air. The accompanists offer extraordinary idiomatic support, hitting the right tempo for each number. There is so much to admire here, but I am tempted to suggest that her Ravel (“Pavane”), the “Vocalise” of Rachmaninoff and the “Ária das Bachianas Brasileiras” are simply the best. Track List: Vocalise; Iluminada/Balada en Sol Menor No. 1; O Trenzinho do Caipira; Ária das Bachianas Brasileiras No. 5; Prelúdio de Solidão/ Prelúdio No. 3; Corpo e Luz/ Ária de ópera Tristão e Isolda; Adagio do ‘Concierto de Aranjuez’; Pavane; The Lamp is Low/Pavane; As Pombas; Coração Triste; Modinha; O Canto do Pajé; Stranger in Paradise/Danças Polovtzianas/My Reverie. Personnel: Ithamara Koorax: vocals; Rodrigo Lima: guitar; Filipe Bernardo: piano; Raul De Souza: trombone.